"I can think of no one more fitting to provide the broad perspective on the City's health system, as well as a specific analysis of the current state of affairs." --James R. Tallone, Jr., President, United Hospital FundFor the three decades since passage of Medicare and Medicaid, health care service to the American people has expanded. Relatively few studies have assessed the extent to which access to health care have actually improved for specific groups, such as the poor and the middle class. 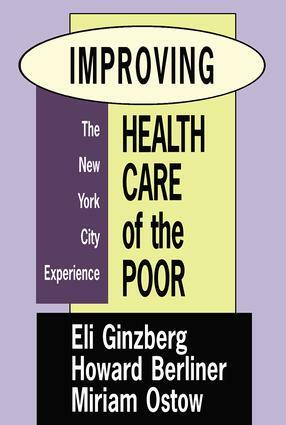 This book is an in-depth assessment of the extent to which Medicare and Medicaid have met expectations of citizens. New York City is the focus because of its long-standing commitment to provide essential health care to all citizens irrespective of ability to pay, its hospital system composed of voluntary and public sectors, and its vast governmental and private funding.